We offer a variety of optional experiences that will make your day memorable. We offer a variety of activities for kids and family. There is something for all ages. Get an up close visit with our two wonderful giraffes, Jigsaw and Puzzles, they always like a free handout. Enjoy the view of the African and Asian grass lands exhibits from the viewing area, see animals together just as you would in their natural settings. Anyone can enjoy a ride on the ships of the desert! 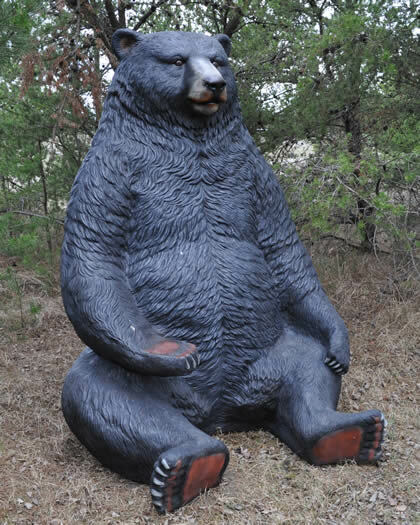 It's a truly unique experience in the Brainerd Lakes Area. Experience the chance to mingle with 100's of parakeets in the parakeet landing exhibit. 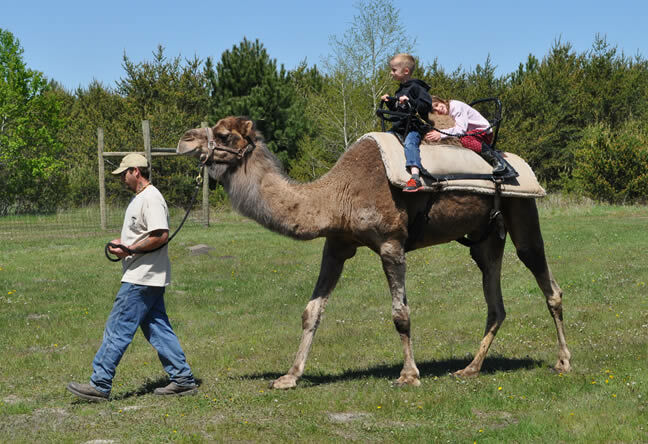 There is a lot to see and do here at Safari North Wildlife Park! 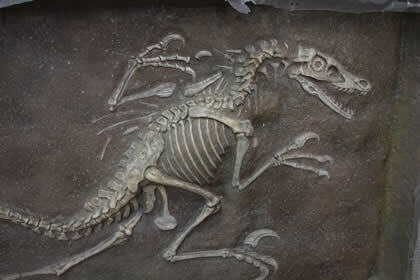 Let your imagination run wild and dig for ancient dinosaurs. You could make the next big discovery. Are you a jumper? How far can you jump? Our jungle jumper exhibit will see how you stack up against the jumping power of animals around the world. 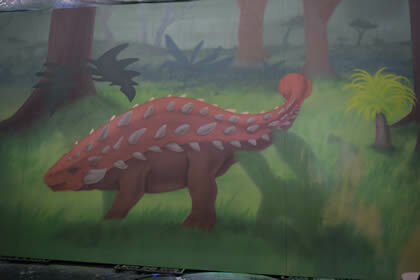 We have a number of photo opportunities where visitors can have their picture taken with various animals. 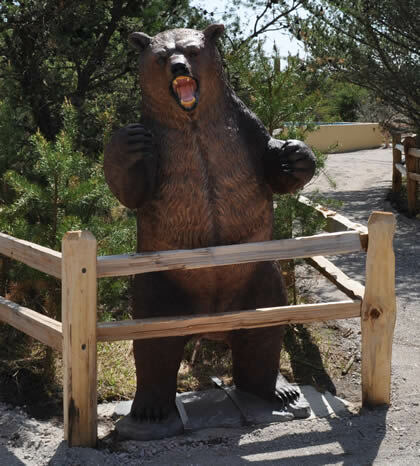 Nothing like having your picture taken with a fierce grizzly bear. We have a number of other park attractions that will be of interest or make a good opportunity for a photo or two, such as our waterwheel. Stop by the play area and let the little ones have all the fun they want. It's located just across from the snack shack. 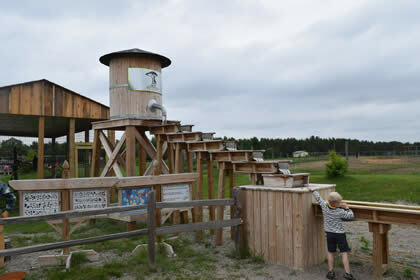 Our play area features professional play ground equipment that includes slides, ladders and spring animals. Just hope the spider doesn't actually show up! 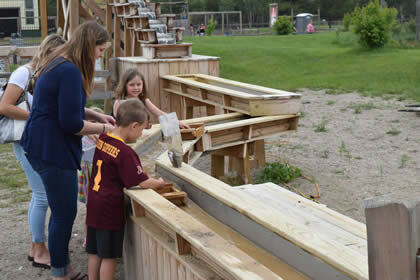 Our play area features professional play ground equipment that includes slides, ladders and spring animals. Just hope the spider doesn't actually show up! If the kids are not quite worn out we can help with that! Stop by the play area and let them have all the fun they want. It's located just across from the snack shack. 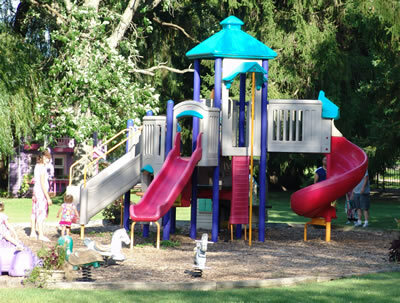 Our play area features professional play ground equipment that includes slides, ladders and spring animals. Want to challenge the kids a little more? Then our giant spider web will do the job. 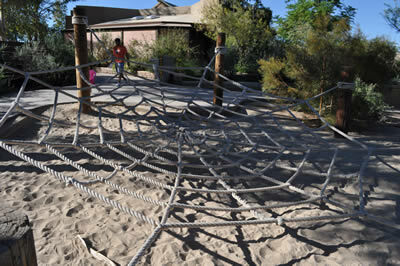 Kids can climb around on the largest spider web in the area. Feeding the animals at Safari North Wildlife Park is a thrill for any age. 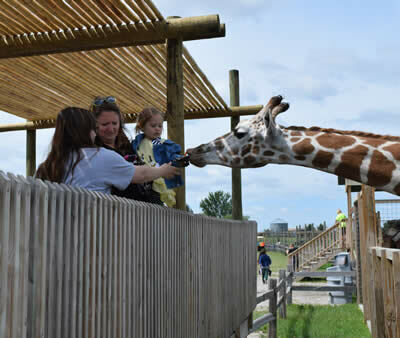 While you enjoy your stay at Safari North take a walk on the wild side as you hand feed the white tail deer, or step up high and feed a giraffe from the comforts of our feeding station. Lots of great opportunities for kids to pet and feed the animals. Never had a chance to milk a cow? 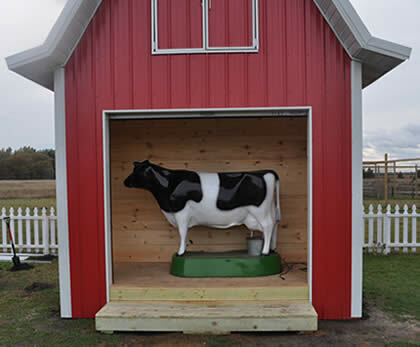 Now anyone can come by the milking barn and milk our cow. Then pet the animals in the barn yard petting zoo. 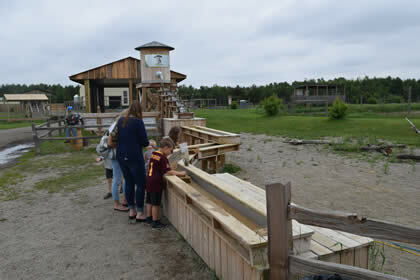 A great place where kids and adults can spend time petting our favorite domestic animals. This is a great moment so don’t forget your camera! 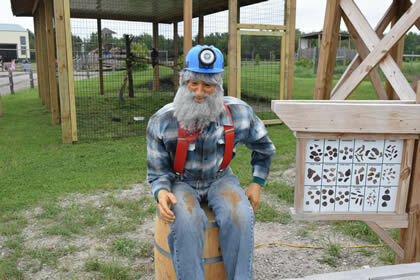 Spend time learning how miners of the past mined for the sought after mother load. Maybe your mining skills can discover the Mother Load of all treasures.